Wow! So unexpected from Rudimental! I saw this on rage just a few days ago (passing time as I had no internet) and despite only catching the 2nd half of it, I instantly fell in love with this! Don't get me started with the video, there's something cute yet so nostalgic and mood-evoking about it. Leuk nieuw nummer van Rudimental. ▒ Gaaf dansnummerke uit juni 2015 van de Londense 4-mans drum & bass formatie: "Rudimental" !!! Dit keer bijgestaan door zangeres: "Anne-Marie", en zanger: "Will Heard" !!! Ook ik ga voor de 4 sterren ☺!!! 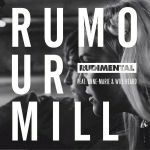 Initially I was a bit disappointed with this track, but since it has grown on me heaps, and has become another great track from Rudimental. Such a chilled vibe coming from this. Decent enough but not very impactful. Sehr, sehr chillige Angelegenheit. Für die richtigen Momente richtig tolle Musik, wenn auch leider etwas repetitiv.<br><br>Ganz knapp noch 5. Nichtmal Anne-Marie reißt's hier raus. Macht Spaß, diese Nummer zu hören. Echt ein cooler Song und Anne-Marie ist sowieso immer super!